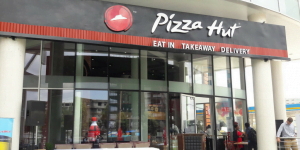 Addis Abeba, April 10, 2018 – Pizza Hut – an American restaurant chain – becomes the first major international food franchise to open in Ethiopia. U.S. 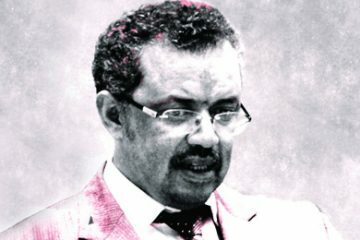 Ambassador to Ethiopia, Michael Raynor, Yum! Brands representatives, government officials, and special guests celebrate the opening of Pizza Hut today, at the restaurant’s new CMC location. In addition to today’s grand-opening in CMC, Belayab Foods & Production PLC – the franchisee of Pizza Hut in Ethiopia – is slated to open its second location in the popular Bole Medhanialem neighborhood on Saturday, April 14th. In the United States, restaurant franchises employ 3.8 million individuals of whom 85% are under the age of 25 years. Belayab Foods aims to follow this trend by focusing on hiring youth straight out of school. In preparation for the Ethiopian opening, the company sent several of their young employees to various trainings abroad to become familiar with the Pizza Hut brand. The restaurants feature a contemporary feel with modern furniture and fixtures, as well as imported branding materials. Additionally, the restaurants include Pizza Hut’s most popular pizzas, meals, and desserts – which are all imported in an effort to keep the original taste and standard. Pizza Hut’s parent company, Yum! Brands, (also owner of KFC and Taco Bell restaurant chains), is investing heavily in Africa and working with franchises to expand its presence across the continent. With more than one billion people, 53 countries and consumer spending predicted to reach $2.5 trillion by 2020, the company sees an opportunity for growth in Africa. Established in 2016, the global campaign has impacted 15.9 million people and distributed more than 275,000 books and educational resources to communities in the U.S., Brazil, Canada, Costa Rica and South Africa, in its first year alone.